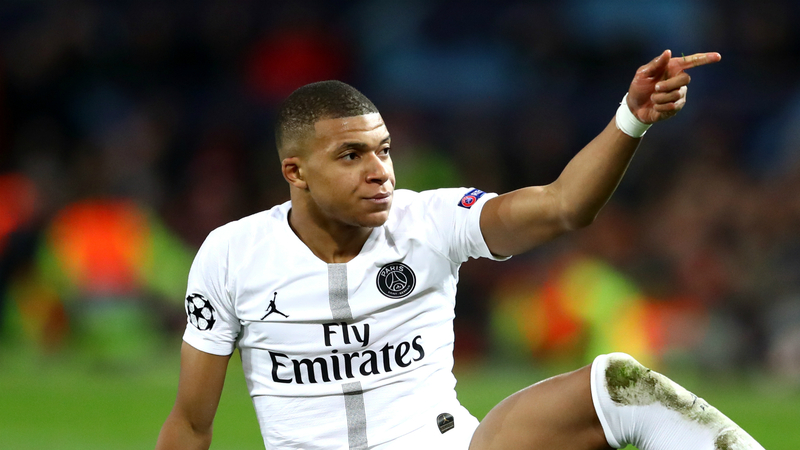 Kylian Mbappe said Paris Saint-Germain must not feel fear after a 2-0 win at Manchester United established a dominant position in their Champions League last-16 tie. Mbappe doubled PSG's lead after Presnel Kimpembe gave the Ligue 1 champions the advantage at Old Trafford on Tuesday, with former United winger Angel Di Maria creating both goals. United's first defeat under Ole Gunnar Solskjaer was also their heaviest ever home loss in European competition, while Paul Pogba's late red card added to their problems ahead of next month's return leg in Paris. PSG lost 5-2 on aggregate to Real Madrid in the last 16 a year ago and in 2016-17 they were on the end of one of football's greatest ever comebacks, Barcelona overturning a 4-0 first-leg deficit to progress. But although PSG have regularly failed in the knockout rounds of the competition, Mbappe urged Thomas Tuchel's side - who were without Edinson Cavani and Neymar due to injury - to be brave. "Tuchel told me that it was going to be different, that I was going to touch the ball a lot less," Mbappe said to RMC Sport. "It was difficult because I am learning this role [as a central striker] but I am not frustrated. "We must stop feeling fear. Football is played on the field. Neymar and Cavani are ultra-important but people have to support us. "French football must go as far as possible in the Champions League. People must support us, we will support Lyon [against Barca] next week. We must stop being afraid." Only an improbable comeback would see United knock PSG out but Mbappe will not be counting on a place in the last eight until the job is done. "It's not perfect but it's good. Perfect, it will be after the qualification," he said. "We are happy but we are only at half-time. "We will continue to prepare well because we had a small physical issue over the last 20 minutes. "It was a really new system. We were not used to it. We needed a little time to adapt. "We came back with better intentions in the second half. We knew they wanted to score and we did it."